DROPS are moving together when you swipe! The task is pretty simple. All you need to do is to match colored droplets into their corresponding color jar.. But, do you think it’s so simple? Try this puzzle quest and see whether you’re strong enough to achieve the game aim… This appartment is a brain workout. 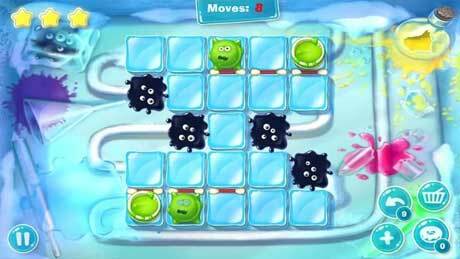 We are ready to offer you a oneoff puzzle game. Try it! What if you like it? 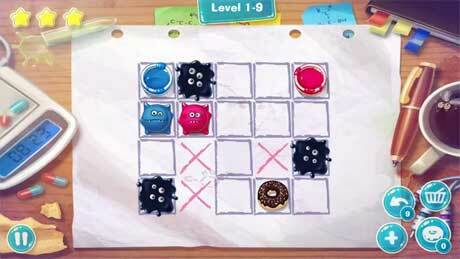 Find “donuts” to solve hard levels. Avoid obstacles and get special elixir. Use “Stepback” to go back or use extra moves. Use arrow to Jump to other color jar. Access all the divine new content! Use all the available elements for current level getting into the next room and discovering new more adorable levels! Send us your level variant and we will include it in a new version. 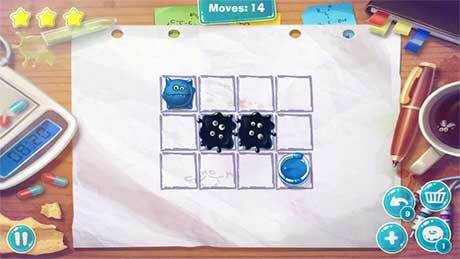 Use all your possible ways to solve levels for the best score! Share with friends. Let them to try to solve the puzzle in an easier way. Simple one touch game play – swipe in different direction. Diet, Loader, Blotch 10, Donut 5, Gipnose, AddStep 5, Voltage 5, Star 10, Marathoner, Polishing, RanTea, Guest, Run Race. Join an adventurous puzzle race to cure a little girl. Help Dr.Dunno to collect all drops of his unique miraculous elixir. Hunt for drops!